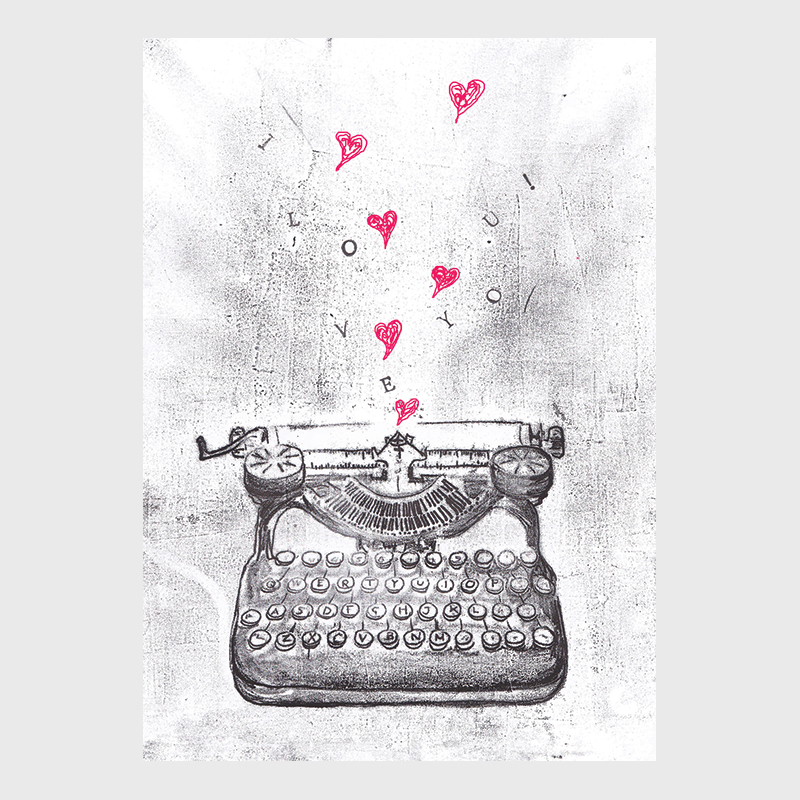 This card would suit budding writers or those enamored with the technology of yesteryear. The image is hand drawn using the monoprinting technique with stamped letters and digitally added red hearts. Comes with a red envelope and in a protective cellophane sleeve.